The "Lapland" was built in 1908 and launched on June 27, 1908, by Harland & Wolff, Belfast for the Red Star Line of Antwerp. She was a 17,540 gross ton ship, 605.8 feet in length with a beam 70.4 feet. She had two funnels, four masts, twin screws. and a speed of 17-18 knots. She was powered by quadruple expansion engines. 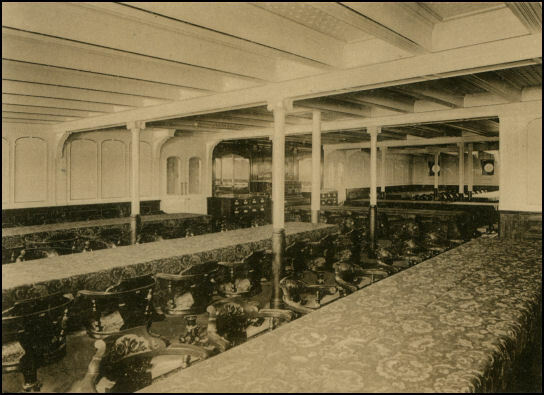 The "Lapland" could accommodate 450 first, 400 second, and 1,500 third class passengers. 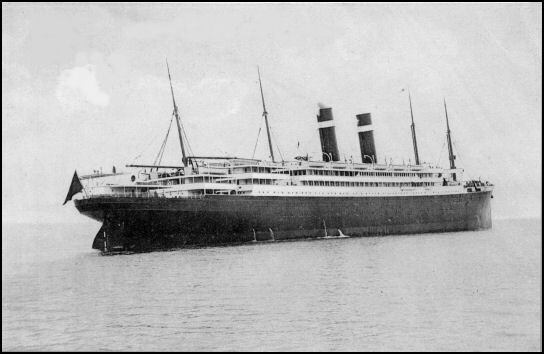 Her maiden voyage was on April 10, 1909, from Antwerp to Dover, England, and then onto New York. She became flag ship of the Red Star Line and was the largest Red Star Line ship and largest Belgium ship at that time. While she had the appearance of her sister ships: Smaland, Gothland, and Poland, the "Lapland" was substantially larger. In April 1912, Lapland made headlines when she brought home 167 crew members who had survived Titanic's sinking. 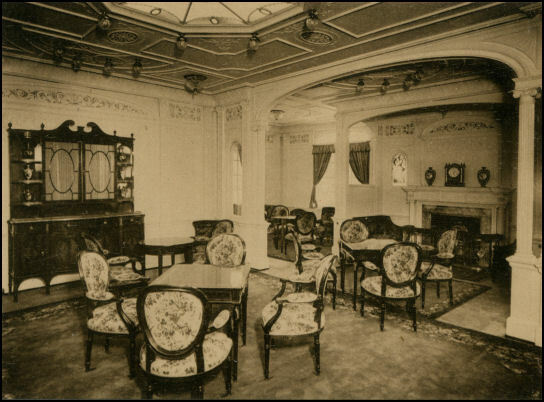 She would later become even more intimately involved with the White Star Line. 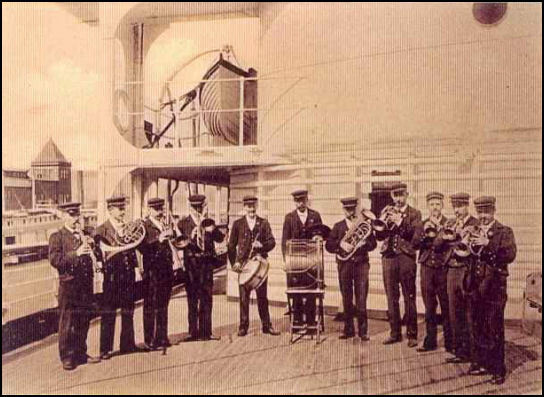 She started her last voyage for the Red Star Line on July 4, 1914. 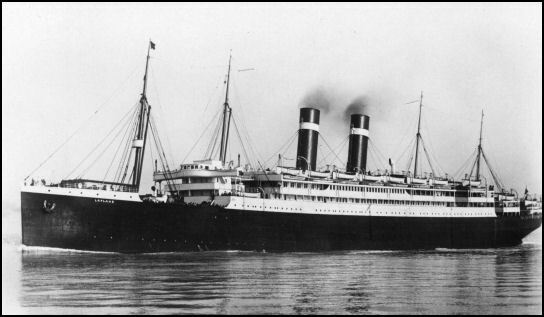 After the start of World War I, on September 1, 1914, she commenced sailing between Liverpool and New York. In late 1914, after Antwerp was occupied by the German army, "Lapland" was placed in White Star's service. 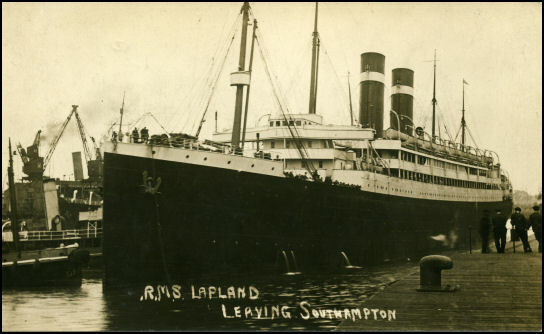 Lapland was placed in White Star's service, on the Liverpool-New York route, with Zeeland and Vaderland. 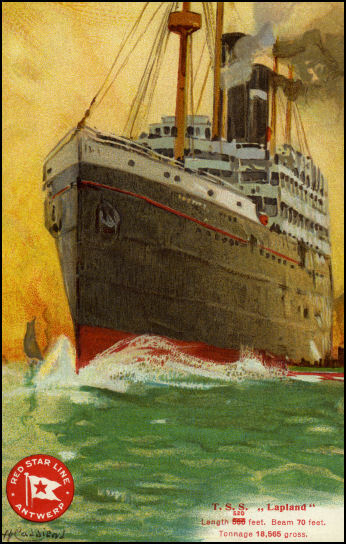 On October 29, 1914, the "Lapland" commenced Liverpool - New York sailings under the British flag while under charter to Cunard Line. In April 1917, during World War I, she struck a mine off the Mersey Bar Lightship, but managed to reach Liverpool and in June 1917 she was requisitioned as a troop ship and was fitted out to accommodate 3,000 soldiers. At the war's end in November 1918, Lapland was again placed on White Star's Liverpool-New York route until White Star's own fleet was returned to service. She still retained her Red Star name, but was now painted in White Star colors. 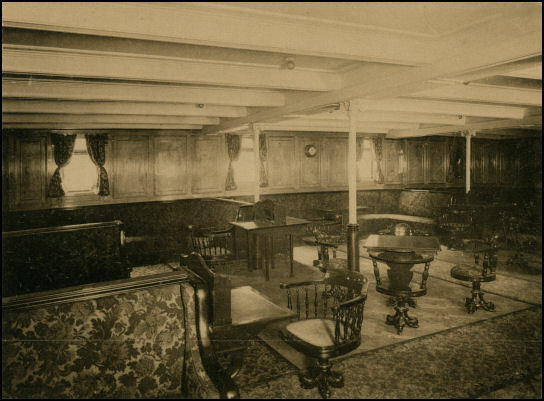 She commenced her first voyage On November 23, 1918, when she sailed from Liverpool for New York and on August 7, 1919, she started her sixth and last round voyage on this route. On September 16, 1919, she was transferred to the Southampton - New York route and made three round voyages, the last starting November 27, 1919. 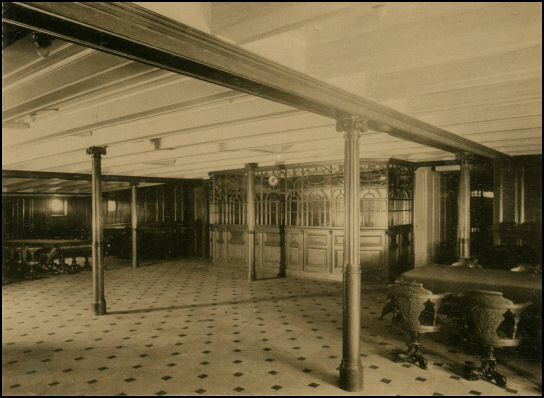 In 1919, she was refitted to 18,565 gross tons with accommodations for 389 first, 448 second and 1,200 third class passengers. 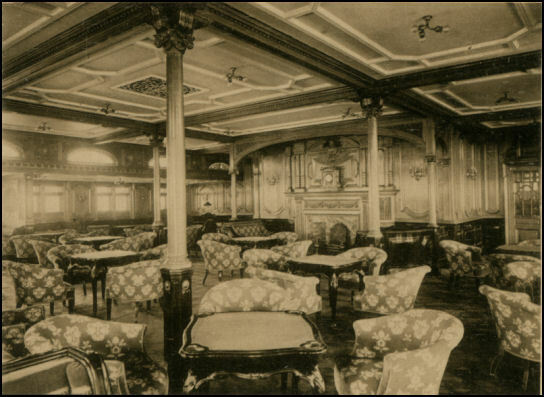 On January 3, 1920, the "Lapland" resumed service for the Red Star Line, but under the British flag. 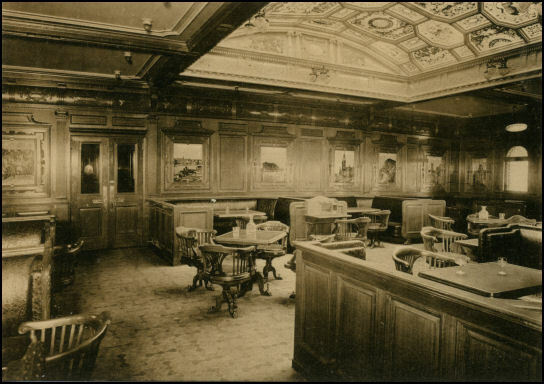 She sailed from Antwerp for Southampton and New York. 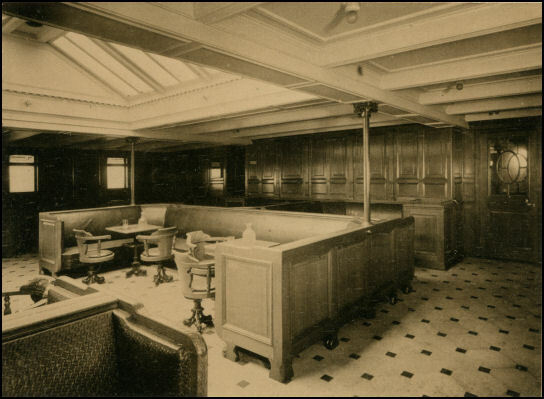 With the decline of immigration in the mid-1920's, the "Lapland" was altered to carry a combination of cabin, tourist and 3rd class passengers. From 1926 through 1932, the "Lapland" was used mainly for Mediterranean cruising. On April 1932, she started her last voyage between Antwerp, Southampton, Havre, New York, Cobh and back to Antwerp. In October 1933, The "Lapland" was sold to Japanese owners. She was scrapped at Osaka the following year. 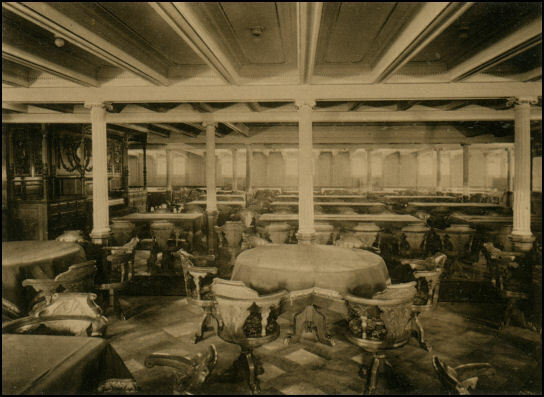 Rare Interior Views of the "Lapland"